Trying to maintain and lose body fat can be difficult, and the routines can be boring. That’s where cycling comes in! 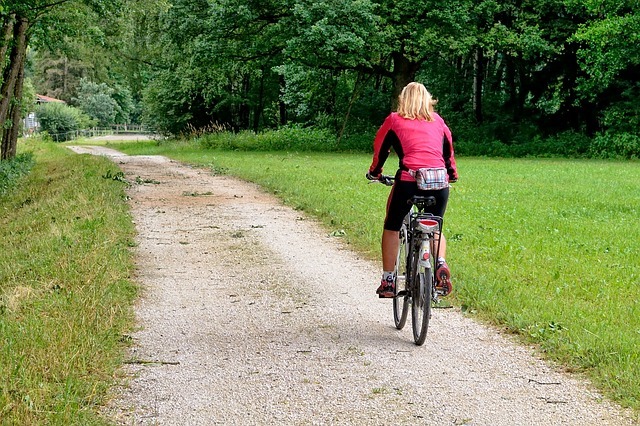 Have fun, get in shape, and explore nature by cycling! You might be an expert in weight loss and how to manage your body fat, but maybe you aren’t. Perhaps you’re looking for new ways to improve your body and reach your ideal weight. The same old routine might be too dull, and you’re seeking to improve your routine and try new things. What should you try? What can you try? Cycling, of course! Cycling has enormous amounts of benefits that can help you lose weight, gain confidence, become happier, and improve your overall quality of life. So, let’s get started! Cycling will give you a new exercise routine to consider adding to your typical workout, or maybe you want to do a new workout. Cycling is a wonderful way to include friends and family and even your children. Getting healthy and active is achievable with cycling. Or a couple of them! You never know what you will and won’t like until you experience it. Pick a few routes, which you can do on cycling apps or websites. Find beautiful parks, bike tours, and hiking areas that allow for mountain bikes to get the experience you want. The important part of this is knowing that there is something for everyone, for relaxing rides and challenging rides, but will increase your weight loss. The speed you go will vary depending on if you have cycled before and if you’ve ridden long distances. Make sure your body can handle the distance and speed you are challenging yourself to do. You should start off slow and increase your speed depending on how you feel and are comfortable with. Keep that pace for a few days before trying to raise it. Mastering the route, you’re choosing is crucial to your development in weight loss. By learning your route, or all of them, you gain confidence in yourself and your abilities. By mastering your route, you are also able to see the significant differences in your body, stamina, and physical activity. You will be able to decrease the time it takes you on your route, be more fit, and become energized by your routine. Once you master a route, change it. Keeping your routes the same and not challenging and pushing your body will not help you to lose weight or body fat. By changing your routine and continuing to push yourself further, harder, and longer, you will find your body changing, losing weight will become easier, and increasing your health will be happening without doing anything else. Cycling to your fit body is a way of life and a frame of mind. If you want to be fit and healthy, cycle to your goals. Cycling will improve your body in more ways than just weight loss and body fat loss. You will see yourself more energized, able to get more done throughout the day and feel happier in life. The benefits of cycling are far better for you than other options out there for body fat loss. Is Pet Insurance Right for your Dog?